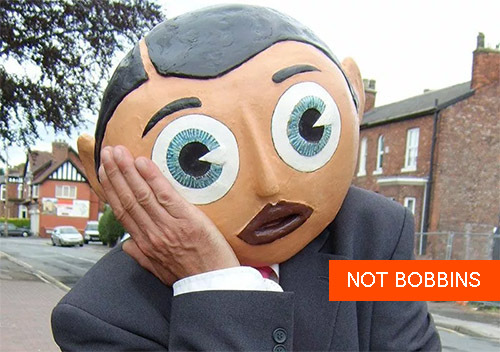 I'm one of the many backers of Being Frank: The Chris Sievey Story, about the reclusive chap who created the bizarre papier-mache entertainer from Timperley. I missed the backers' special screening back in November, so I'm going to be an ordinary punter when the film hits the cinema screens next month. I think Frank Sidebottom is my favourite Frank. Music has done quite well out of Franks. There's Frank Ocean, of course, and Frank Black from the Pixies. And Frank Sinatra, whose albums I own on vinyl because I am down with the kids. There's Frank Zappa too, whose music I do not own. But there's only one Frank I'd rather have sing at me. Have a peek at the trailer below. Oh and also have a peek at a video I took of Frank in 2007. It's truly bobbins and I strongly recommend turning down your volume before clicking through.